SSAP2010 (Slope Stability Analysis Program) (rel 4.9.9-2018) - Analysis of slope stability in natural and artificial complex conditions. Soil and rock masses. PESERA-L - (rel. 1.3) Sediment Yield due to shallow mass movement in a watershed. An addendum to the PESERA model. EUROSEM 2010 (European soil Erosion Model - 2010). The European Soil Erosion Model (EUROSEM) is a dynamic distributed model, able to simulate sediment transport, erosion and deposition by rill and interill processes in single storms for both individual fields and small catchments. 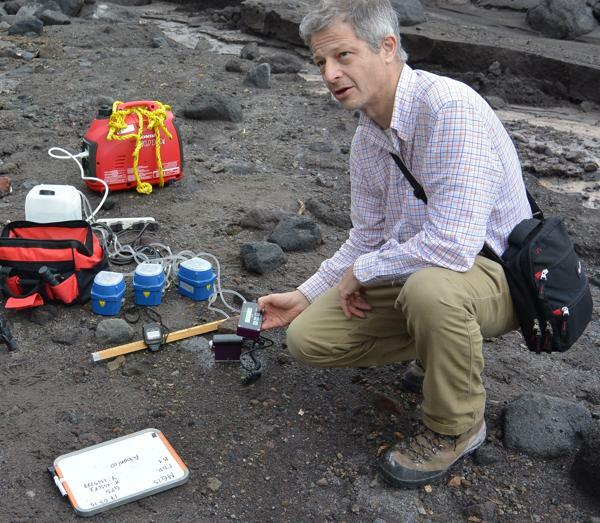 Dr. Lorenzo Borselli , Ph.D.
Earth and Soil Scientist, Engineering Geologist. Specialist in soil and rocks mechanics and hydrology. Degree in geology 1989 at the university of Florence Italy. In the 1998 received Ph.D In Soil science at the university of Florence, ITALY. Since 1997 until 2011 worked as Researcher at National Research Council (CNR). Since 2003 worked as Researcher at the Research Institute for Geo-Hydrological Protection (CNR-IRPI). 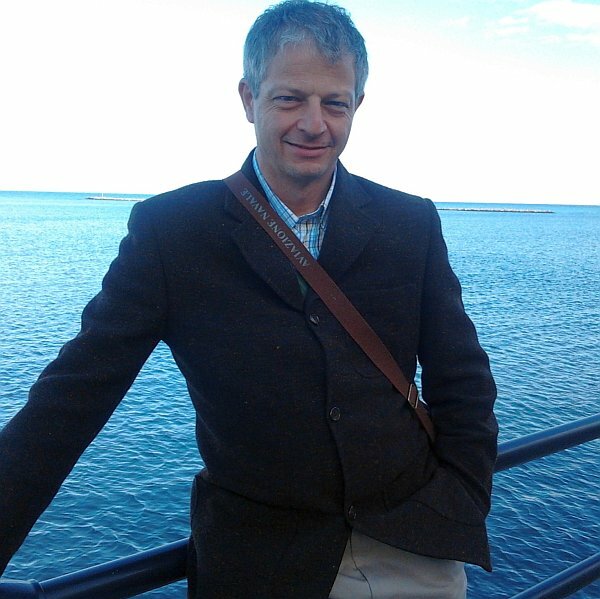 In the period 2009-2011, He has been head of research unit of CNR-IRPI, in Florence,Italy. Referee of several International scientific journals: Hydrological Processes, Catena, Earth Surface Processes and Landforms, Geomorphology, Journal of Environmental Management, Soil Use and Management, European Journal of Soil Science, Earth Science review, Journal of Hydrology. Has been Italian delegate COST ACTION 623 “Soil Erosion and Global change" and of COST 634 “ On and Off-site Environmental Impact of Runoff and Erosion”.funded bya EU. He collaborated in several international research projects (funded by EU) related to Soil erosion process and modeling , soil conservation, desertification process and measures for mitigation (MWISED, TERON, RECONDES. DESIRE, LAMPRE etc.). Since 2002 collaborated with Mexican universities (UNAM,UASLP) to projects in assessment of hydrological components for volcanic hazard. Author or Co-author of 60 papers on international scientific journals, and book chapters. His current research interests are: software development and modeling for stability of slopes, soil and rock mechanics, shallow landslide modeling ,surface hydrology, statistical and mathematical advanced techniques applied to soil erosion and surface hydrology, modeling soil erosion by water, soil erosion by tillage and land levelinng. Author of various software distributed freeware at scientific community: “Slope Stability Analysis Program (SSAP)” (www.ssap.eu), and DECOLOG (www.decolog.org), KUERY (www.lorenzo-borselli.eu/kuery). (1989) Degree in Geology, University of Florence. Dissertation in experimental geomorphology: "Experimental study on rill erosion evolution". (1989) Received the Qualification for professional practice in Engineering Geology, Florence September 1989, University of Florence. (1990) "CONNAUGHT” fellowship, Dept. of Geography, University of Toronto, Canada. (1991-1992) - Research Fellowship at the National Research Council - Centro per lo Studio della Genesi, Classificazione e Cartografia del Suolo (CNR- CSGCCS), in Florence Italy - experimental activity in the field of soil conservation and soil hydrology modelling, rainfall simulations. (1992-1994) - Research Fellowship at the Agronomic Institute for Overseas (IAO), Florence Italy - soil Physics and hydrological process modeling, rainfall simulations. In the same period participated, as expert in rainfall simulations and surface hydrology, at two of the experimental field work activities of the international research project STD2-285-I "IMPROVING PRODUCTIVITY OF CRUSTING SOILS AND DEPLETED SANDY SOIL IN ZIMBABWE", founded by UE, Coordinator Prof. Giovanni A. Ferrari of the Univ. of Florence. (1994-1997) - PhD Student at the Dept. of Soil Science, University of Florence, directed by Prof. Guido Sanesi, and dr. Dino Torri of the Institute for Soil Genesis and Ecology(CNR-IGES) in Florence. Theme: Surface hydrology and modelling of soil roughness evolution and influences in water infiltration and runoff production, rainfall simulation. (May 1996 to July 96), worked at the “Laboratory for experimental Geomorphology“ Catholic University of Leuven (belgium), directed by Prof. Jean Poesen, using rainfall simulators for surface Hydrology modelling and studies of soil roughness evolution and influences in water infiltration and runoff production. (1998-2001), contract researcher at the Institute for Soil Genesis and Ecology of the NATIONAL RESEARCH COUNCIL (CNR-IGES), in Florence, directed by the Professor Gabriele Ristori. (august 2001-september 2003), Permanent position as Researcher at NATIONAL RESEARCH COUNCIL (CNR) in the Institute for Soil Genesis and Ecology (CNR-IGES) of Florence. (since september 2003), Researcher at the CNR-IRPI - Research Institute for Geo-Hydrogeological Protection of the NATIONAL RESEARCH COUNCIL (CNR), in Florence. (1996-2000), FAIR3-CT96-1478, "Tillage Erosion : Current State, Future Trends and Prevention (TERON) ". Funded by EU. (October 2008 - June 2011) Italian study site coordinator and Scientific Responsible of CNR resarch group whithin DESIRE project. (2010-2013) FIRESENSE (Fire Detection and Management through a Multi-Sensor Network for the Protection of Cultural Heritage Areas from the Risk of Fire and Extreme Weather Conditions, FP7-ENV-2009-1–244088-FIRESENSE . http://www.firesense.eu. (18 september 2013 -2015) Associate Scientist to "LAMPRE project - LAndslide Modelling and tools for vulnerability assessment Preparedness and REcovery management." (LAMPRE project) - European Union seventh framework program. Grant No. 312384. (2013-2017) Modelling of Hydrologic Prepossesses, Hydrophobicity and infiltration Dynamic for Flooding and Lahars hazard assessment . CONACYT Grant: Proyecto Ciencia Basica CB-2012/184060. (2018- ) Software Innovation for the study of Geomaterials, Earth Science and Civil Engineering. CONACYT Grant: Proyecto Ciencia Basica CB-2016/286764. Slope stability computation advanced algorithms and search engines for critical slip surfaces. Geomaterials an Geosystems modelling for geo-hazard assessment. Global optimization algorithms and their application in earth sciences, hydrology and soil/rock Mechanics. Soil Erosion and soil Hydrology modelling. Slope stabilization strategies and technologies. Fuzzy mathematical techniques applied to manage parametric uncertainty in erosion and hydrology modeling, slope stability and slope failure processes. Soil erosion By Tillage: modeling and advanced measurement techniques. Slope stability software, design and development. Deconvolution of mixtures of statistical distributions. Differential evolution (DE) algorithms for global optimization and earth science and enginnering. Soil hydraulic parameters by inversion algorithms from rainfall simulations data and field/lab infiltrometers. Soil surface roughness statistical properties and analysis with segmentation algorithms. Modelling uncertainty distributions using fuzzy variables. Monte Carlo numerical techniques and simulations . PESERA-L - (rel. 1.3). Sediment Yield due to shallow mass movements in a watershed. An addendum to the PESERA model. SANTI E., TARANTINO C. , AMICI V., BACARO G. BLONDA P. , BORSELLI L. , ROSSI M. , TOZZI S. , TORRI D. 2014, Fine-Scale Spatial Distribution Of Biomass Using Satellite Images. Journal of Ecology and the Natural Environment, Vol.62, Pag.75-86, DOI: 10.5897/JENE2013.0416. MONTENEGRO RIOS A., SAROCCHI D., NAHAMAD-MOLINARI Y., BORSELLI L. 2013. Form From Projected Shadow (FFPS): An algorithm for 3D shape analysis of sedimentary particles. Computers & Geosciences. 60:98–108. DOI:10.1016/j.cageo.2013.07.008. TORRI D., SANTI E., MARIGNANI M. , ROSSI M., BORSELLI L. , MACCHERINI S. 2013. The recurring cycles of biancana badlands: Erosion, vegetation and human impact. CATENA. 106:22-30. DOI:10.1016/j.catena.2012.07.001. DESCHEEMAEKER K. J. POESEN, L. BORSELLI, J. NYSSEN, D. RAES, M. HAILE, B. MUYS, J. DECKERS. (2008) . Runoff curve numbers for steep hillslopes with natural vegetation in semi-arid tropical highlands, northern Ethiopia. Hydrological processes . 22(20): 4097-4105 DOI: 10.1002/hyp.7011..
CABALLERO L., MACIAS J.L., GARCIA-PALOMO A., SAUCEDEO G.R., BORSELLI L. , SAROCCHI D., SANCHEZ J.M. 2006. The september 8-9, 1998 rain triggered flood events at Motozintla, Chiapas, Mexico. Natural Hazards.39(1):103-126..
DE ALBA S., L. BORSELLI, D. TORRI , S. PELLEGRINI , P. BAZZOFFI(2006). “ASSESSMENT OF TILLAGE EROSION IN TUSCANY (ITALY).” , Soil & Tillage Research 85 123–142. TORRI L., L. BORSELLI (2003). Equation For High Rate Gully Erosion , CATENA, 50:449-467. SALLES C., POESEN J., BORELLI L., (1999). Measurement Of Simulated Drop Size Distribution With An Optical Spectro Pluviometer: Sample Size Consideration". Earth Surface Processes And Landforms. 24:545-556. BORSELLI L: . (1999) Segmentation Of Soil Roughness Profiles. Earth Surface Processes And Landforms. 24:71-90. KOVALIK P., M. BORGHETTI,L. BORSELLI, F.MAGNANI, G. SANESI, R. TOGNETTI (1997). Diurnal water relations of beech( fagus silvatica l.) Trees in the mountains of italy. Agricultural and Forest meteorology. 84:11-23. BORSELLI L., R. BIANCALANI, S. CARNICELLI , C. GIORDANI , G.A. FERRARI (1996). Effect Of Gypsum On Seedling Emergence In A Kaolinitic Crusting Soil. Soil Technology Vol. 9 , pp 71-81. BORSELLI L., S. CARNICELLI , G.A. FERRARI , M. PAGLIAI & G.LUCAMANTE (1996). Effect Of Gypsum On Hydrological, Mechanical And Porosity Properties Of A Kaolinitic Crusting Soil. Soil Technology Vol. 9 , pp 39-54. De la CRUZ-REYNA, S., MENDOZA-ROSAS, A. T., BORSELLI, L., & SAROCCHI, D. (2019). Volcanic Hazard Estimations for Volcán de Colima. In Volcán de Colima (pp. 267-289). Springer, Berlin, Heidelberg. ISBN: 978-3-642-25910-4. CAPRA, L., GAVILANES-RUIZ, J. C., VARLEY, N., & BORSELLI L. (2019). Origin, Behaviour and Hazard of Rain-Triggered Lahars at Volcán de Colima. In Volcán de Colima (pp. 141-157). Springer, Berlin, Heidelberg. ISBN: 978-3-642-25910-4. BORSELLI L. 2013. Advanced 2D Slope stability Analysis by LEM by SSAP software: a full freeware tool for teaching and scientific community. IN "ICL Landslide Teaching Tools". Kyoji Sassa, Bin He, Mauri McSaveney, Osamu Nagai (EDS.). International Consortium on Landslides (ICL). PP. 428. ISBN: 978-4-9903382-2-0. ROSSI M. , S. PERUCCACCI, M.T. BRUNETTI, I. MARCHESINI, S. LUCIANI, F. ARDIZZONE, V. BALDUCCI, C. BIANCHI, M. CARDINALI, F. FIORUCCI, A.C. MONDINI, P. REICHENBACH, P. SALVATI,M. SANTANGELO, D. BARTOLINI, S.L. GARIANO, M. PALLADINO, G. VESSIA, A. VIERO, L. ANTRONICO, L. BORSELLI, A.M. DEGANUTTI, G. IOVINE, F. LUINO, M. PARISE, M. POLEMIO , F. GUZZETTI, S. LUCIANI, F. FIORUCCI, A.C. MONDINI , M. SANTANGELO, G. TONELLI, 2012. SANF: National warning system for rainfall-induced landslides in Italy. In Landslides and Engineered Slopes: Protecting Society through Improved Understanding – Eberhardt et al. (eds). Taylor & Francis Group, London,pagea pp. 1895-1899. ISBN 978-0-415-62123-6. TORRI D., L. BORSELLI. 2011. Water erosion . In "Handbook of Soil Sciences: Resource Management and Environmental Impacts, Second Edition", Pan Ming HuangYuncong LiMalcolm E. Sumner (editors). Chapter 22.: 1-19. CRC PressTaylor & Francis , Boca raton FL. BORSELLI L., E. BUSONI, C. CALZOLARI, A CHIARUCCI, S. MACCHERINI, M. MARIGNANI, D. TORRI. (2007). Land Degradation And Vegetation: A Catchment View. In Hooke J. Yeroyanni Maria (eds), 2007. Conditions for restoration and mitigation of desertified areas using vegetation(RECONDES)- review of literature and present knowledge. European Commission. Luxembourg: office for Official Pubblication of the European Commission. ISBN 92-79-03072-8. 298 pp. BORSELLI L., S. PELLEGRINI, D. TORRI, P. BAZZOFFI. (2002). : “TILLAGE EROSION AND LAND LEVELLING: EVIDENCE IN TUSCANY (ITALY)”. Proceedings Of The 3th Internation Congress Of The European Society For Soil Conservation, 28 March2000, Valencia Spain. “ Man and soil at third millenium”. J. L. Rubio, R.P.C. Morgan, S. Asins, V. Andreu. Eds. Geoforma Editiones. ES.Vol. II:1341-1350. TORRI D., L. BORSELLI, C. CALZOLARI , M.S. YANEZ, M. P. SALVADOR SANCHIS. (2002). “ LAND USE, SOIL QUALITY AND SOIL FUNCTIONS: EFFECT OF EROSION”, Key note of the sessions. Proceedings Of The 3th Internation Congress Of The European Society For Soil Conservation, 28 March2000, Valencia Spain. “ Man and soil at third millenium”. J. L. Rubio, R.P.C. Morgan, S. Asins, V. Andreu. Eds. Geoforma Editiones. ES. Vol. I:131-148. BORSELLI L.. , D. TORRI, (2000). “INTEGRATE FRAMEWORK FOR SOIL EROSION CRITICAL STATE ASSESSMENT”. PROCEEDINGS OF THE 7TH ICCTA - INTERNATIONAL CONGRESS FOR COMPUTER TECHNOLOGY IN AGRICOLTURE: “Computer technology in agricoltural management and risk prevention” , Florence 15TH-18TH november 1998. Supplemento agli atti dei Georgofili 2000. Accademia dei Georgofili pp. 90-97. BORSELLI L.. , S.CARNICELLI, G.A. FERRARI, U. GALLIGANI (1998). “Chapeter 17 - THE IMPORTANCE OF SOIL INFILRATION DYNAMICS AND DATA UNCERTAINTY: FIELD STUDIES ON SOILS IN ZIMBABWE”. In “ Sustainable Management in Tropical Catchments” edito da D. HARPER & T. BROWN . John Willey & Sons. - England. pp.279-295. BORSELLI L., D. MAGALDI, M. TALLINI, (1998). "ASSESSMENT OF HILLSLOPE INSTABILITY HAZARD BASED ON FUZZY MATHEMATICS METHODS". PROCEEDINGS OF THE 8TH CONGRESS OF THE INTERNATIONAL ASSOCIATION OF ENGINEERING GEOLOGY - IAEG. Vancouver, British Columbia, Canada, 21.25 sept, 1998. Balkema , editions. TORRI D., L. BORSELLI (1991)- "OWERLAND FLOW AND SOIL EROSION: SOME PROCESSES AN THEIR INTERACTIONS ". CATENA SUPPLEMENT N. 19, "EROSION, TRANSPORT, DEPOSITION PROCESSES", pp 129-137- CREMLINGEN - GERMANY. SAPIO F., L. BORSELLI, P. PETRI, E. ZINI (2000) . “ALPMON: IL LAND COVER NELLA VALUTAZIONE DEL RISCHIO DI EROSIONE IN AMBIENTE ALPINO. Atti 3° congresso naz. ASITA, napoli dic. 1999. BORSELLI L., D. MAGALDI, M. TALLINI. (1999) “Elaborazione di carte dalla pericolosità da instabilità di versante con approccio fuzzy”. Atti dei convegni dei Lincei 154: “il rischio idrogeologico e la difesa del suolo” Roma 1-2 ottobre 1998. ACCADEMIA NAZIONALE DEI LINCEI pp 307-310. BORSELLI L. (1991)- "FUZZY CURVE NUMBER PER LA PREVISIONE DEGLI EVENTI IDROLOGICI ESTREMI". Gruppo Nazionale per la difesa dalle Catastrofi Idrogeologiche - Rapporto 1991 della attività svolta. - Linea di ricerca 1 - unità operativa 1.2- Patrocinato dal CONSIGLIO NAZIONALE DELLE RICERCHE. VOLUME UNICO pp 69-86. BORSELLI L., E. BUSONI, D.TORRI (1989)- " APPLICABILITA` DEL SCS CURVE NUMBER METHOD: IL FATTORE LAMBDA PER LA STIMA DEL DEFLUSSO SUPERFICIALE". Gruppo Nazionale per la difesa dalle Catastrofi Idrogeologiche - Rapporto 1989 della attività svolta - Linea di ricerca 1- unità operativa 1.2 - Patrocinato dal CONSIGLIO NAZIONALE DELLE RICERCHE . VOLUME UNICO pp 43-55. BORSELLI L. (2011). "SSAP 4.0.6 - SLOPE STABILITY ANALYSIS PROGRAM". MANUALE DI RIFERIMENTO. DEL CODICE SSAP Versione 4.0.6 http://www.ssap2005.it/manualessap2010.pdf (last accessed 13 july. 2011). BORSELLI L. (2007). “SSAP 3.0.1 – SLOPE STABILITY ANALYSIS PROGRAM”. MANUALE DI RIFERIMENTO. DEL CODICE SSAP Versione 3.0.1 http://www.ssap2005.it (PUBBLICAZIONE IN FORMATO ELETTRONICO). TORRI D., BAZZZOFFI P., BORSELLI L., (1998). "I PARAMETRI FISICI CORRELATI ALL'EROSIONE DEL SUOLO". IN "LA NORMALIZZAZIONE DELI METODI DI ANALISI FISICA DEI SUOLI". I Georgofili, Quaderni, III: 59-93. MAGALDI D., L. BORSELLI, A. FARRONI, M. TALLINI (1997) . “DETERMINAZIONE DELLA PERICOLOSITA` DEI VERSANTI CON APPLICAZIONE DI MATEMATICA FUZZY”. DISAT . Università dell’Acquila. . 97/1. ZANCHI C.,GIORDANI C., PINI G., BIANCALANI R., BORSELLI L. (1995). "PERDITE DI SUOLO E DI NUTRIENTI IN FUNZIONE DI DIVERSE DOSI DI CONCIMAZIONE (ESTENSIVA E INTENSIVA) SU TERRENI A DIVERSA TESSITURA". Rivista di Agronomia , n. 4 - pp533-543. BORSELLI L. (1995)- " MODIFIED POCKET CONE PENETROMETER FOR THE ASSESSMENT OF SURFACE AND SUBSURFACE SOIL PARAMETERS" Rivista di Agricoltura Subtropicale e Tropicale Vol. 89 (1), pp 61-74. BORSELLI L, C. GIORDANI (1994) -"PENETROMETRO '"DROP CONE" MODIFICATO PER LA MISURA DI UN INDICE DI DUREZZA DELA CROSTA SUPERFICIALE DEL SUOLO". Rivista di Agricoltura Subtropicale e Tropicale Vol. 88 (2) . pp 305 – 313. GIORDANI C., L. BORSELLI. , F. AGOSTINI (1993) - "CRUST STRENGTH ON A SOIL TREATED WITH GYPSUM : MAZOWE SOIL (ZIMBABWE)". Rivista di Agricoltura Subtropicale e Tropicale Vol. 87 (4) . pp 387- 396. BORSELLI L.. (1993) - " STIME SPEDITVE DEL TASSO DI EROSIONE POTENZIALE MEDIO ANNUO DEL SUOLO SECONDO LA PROCEDURA USLE: UN CODICE DI CALCOLO AUTOMATICO". Rivista di Agricoltura Subtropicale e Tropicale Vol. 87 (4) . pp 397- 419. BORSELLI L.. (1993) "TEMPORAL CHANGES IN SOIL ERODIBILITY". C.N.R. - Quaderni di scienza del suolo , FIRENZE. vol. V , pp 23-46. BORSELLI L., BUSONI E., TORRI D., (1992). Applicabilità del S.C.S. Curve Number method: il fattore lambda per la stima del deflusso superficiale, in: C.N.R.-G.N.D.C.I., Linea 1, Rapporto 1989, 43-56. BORSELLI L. (1989)- "PREVISIONE DEI DEFLUSSI SUPERFICIALI SU VERSANTE: IL METODO S.C.S CURVE NUMBER E SUA APPLICABILITA` NELL'AMBIENTE COLLINARE ITALIANO". - C.N.R. - Quaderni di scienza del suolo - vol. II , pp. 145-160. FIRENZE. Extreme Gulling in Mexico in semi-abandoned agricultural lands and in active volcanic areas - field studies and modelling -2018. Deconvoluzione di misture con componenti log-normali entro distribuzioni granulometriche (Napoli, IT, Univ. Federico II. (22 february 2011) (in italian). Deconvolution fo Mixture's components inside Particle Size Distribution (DICIM-UASLP, Mexico) (18-may-2016).